Three security officials have been arrested over allegations that they were paid by convicted criminals to fit electronic tags loose enough to be removed. 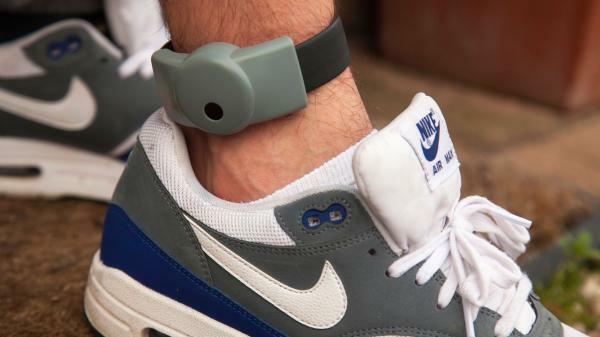 Two current and one former employee of Capita, the firm that runs the government’s electronic monitoring service, have been detained over the alleged scam, which enabled criminals on bail to break curfew orders without detection. A further 11 people have been questioned. None are former or current Capita employees. A 46-year-old former Capita employee was arrested in Romford, east London, for conspiracy to pervert the course of justice and the theft of tagging equipment. A 45-year-old man from Barking, east London, and a 57-year-old woman from Romford have also been questioned for conspiracy to pervert the course of justice. The other 11 have been questioned on the same charge. All 14 have been bailed until April. The Ministry of Justice said it was urgently investigating the claims published in The Sun today. The newspaper said the issue came to light when a criminal on bail was arrested without his tag. Capita said: “We have a zero tolerance policy against any of our employees who act in any way to undermine the robustness of the electronic monitoring service. The Conservative MP Bob Neill, chairman of the Commons justice committee, told The Sun: “The idea of corruption among those in charge of tagging operations jeopardises the public’s faith in the system itself. Scotland Yard said detectives in Newham, east London, are investigating offences involving the monitoring of offenders.